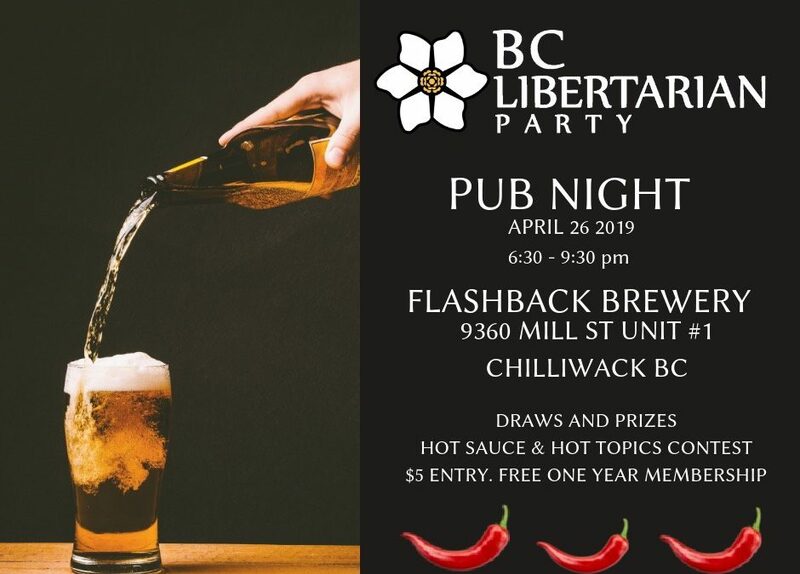 The BC Libertarian Party welcomes you to a night of Hot Sauce and Hot Topics. 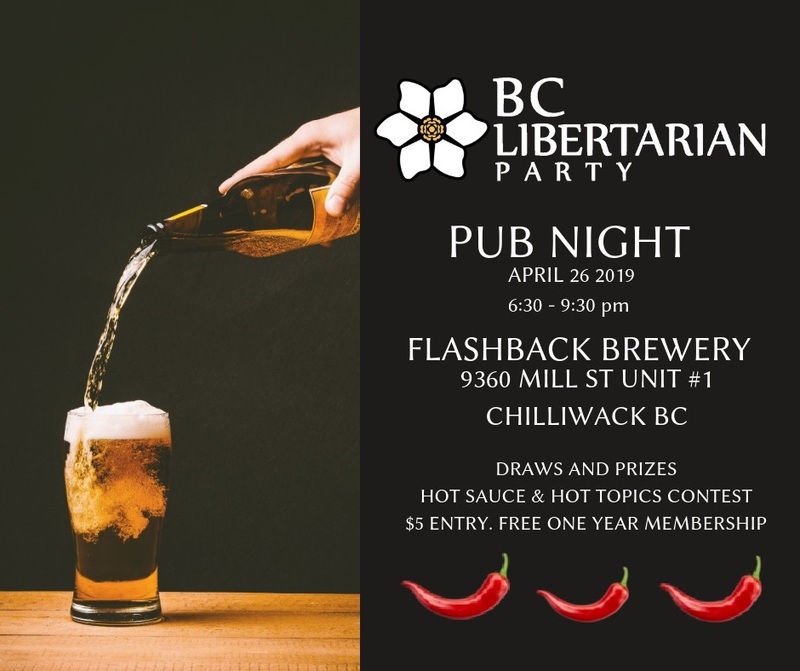 This is an open meet & greet for anyone interested in advancing liberty and reducing the reach of government in our wonderful province, and is hosted by the Fraser Valley Constituency Association. We’ll be hosting a hot sauce eating competition where contestants share their opinions about pressing BC political issues while consuming hot sauce. The sauce and topics get progressively hotter until only one voice remains. Join us for a night of discussion and heat-induced sweating. Participation in the competition is not required. We’ll be holding a raffle at the end of the competition in addition to a small prize for the winner. Number of raffle entries determined by membership status, bringing non-members to the event and participation in the competition.